Of course I know that among all these fruits, NaNak only likes the honeydew. Avocado, strawberry, pineapple, olive, none of them are to her liking. Why do you think I "purposely" decided to make this salad? Just to "trick" her into eating all those fruits, that's why! Ends up, other than the olive, she actually ate everything. Yeah, mission accomplished! 1. 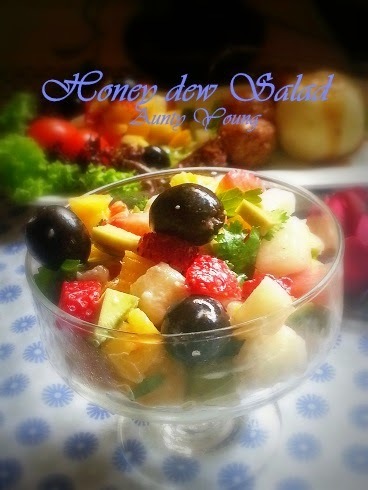 Dice the honeydew, avocado, strawberry and pineapple. 2. 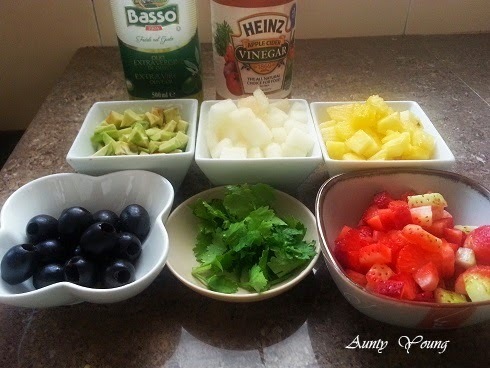 Put the diced fruit into a salad bowl, then add in olive and parsley and mix well. 3. Pour in the olive oil and apple cider. 4. Finally, mix in mayonnaise and toss well. 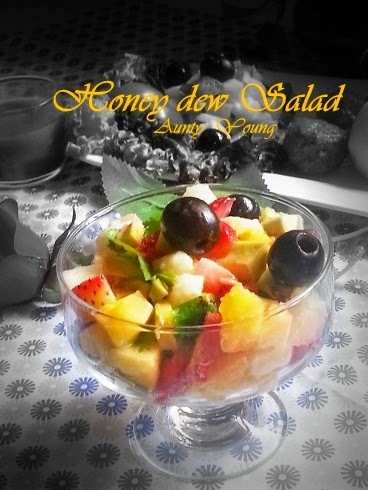 Not only is this Honeydew Salad colorful and beautiful, its fruity sweet and sour taste makes it a very delicious dessert! 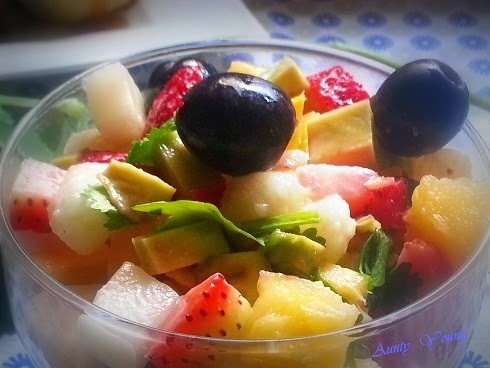 Great appetizer fruity salad ! so colourful and sure it is tasty, not surprised that your nanak finished all the fruits..i will too...maybe plus another bowl! Hi Aunty Young! 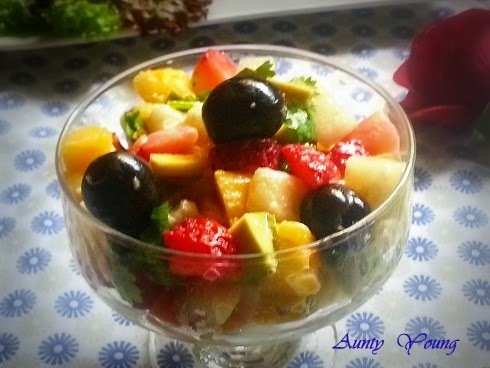 I know I will sure love this light and very pretty salad!